If you’re like most Lexington residents, your smile is probably not quite as white as you would like it to be. While teeth whitening is a fairly standard procedure for us here at Brewer Family Dental, and our patients love their results, many people avoid whitening their teeth for many reasons. 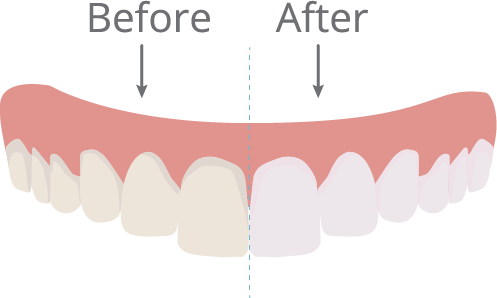 We are here to dispel some of the myths surrounding teeth whitening, and let you know what a difference it can make for your smile, and your life! Do I need to whiten my teeth? Yes, teeth whitening is a purely cosmetic procedure that is not necessarily important in maintaining optimum oral health. However, if you were to ask some of our patients who have opted for a professional whitening with Dr. Brewer, they would tell you that the difference it can make for your appearance, confidence, and self-esteem is well worth it. The unfortunate fact about teeth is that as we age, so do they, and with the help of some of our favorite vices – coffee, tea, red wine, tobacco – over the years, teeth become less of a bright white, and more yellow, grey, or otherwise discolored. Aside from inventing a time machine and turning the setting back to the glory days of your youth, a professional teeth whitening is really the best option for removing stains and bringing back your smile’s youthful glow. While there are thousands of at-home teeth whitening products available for purchase at your local grocery store or pharmacy, the fact of the matter is, the results simply don’t compare to those of a professional treatment. While over-the-counter products like whitening strips and toothpaste are great for removing minor surface stains, they won’t do much to alter the actual color of the tooth itself. To remove deep, intrinsic stains that have built up over years of morning coffee, you should opt for a professional whitening treatment with Dr. Brewer. Most professional whitening treatments use a bleaching agent in the form of a gel/tray application, while others incorporate a special light to speed up the process. The bleaching agent actually opens up the interior channels of the tooth, allowing it to penetrate deeper and remove those deep stubborn stains that give teeth their color. There are rumors floating around Lexington that because some people experience mild to moderate sensitivity following having their teeth whitened, that it is bad for your teeth, and that it breaks down tooth enamel. This is simply not the case. Sensitivity occurs because the bleaching agent opens up tooth channels, causing a higher sensitivity to hot and cold. This is by no means harmful and should subside within a couple of days. At Brewer Family Dental, we understand that health and dental care can be costly, especially if you have no insurance or out-of-network insurance. That’s why we are happy to offer flexible in-office financing options to help you get the care you need without breaking the bank. If you are worried about the cost of teeth whitening, we would be more than happy to discuss your financing options with you. If you have any questions about teeth whitening or would like to schedule an appointment with your Lexington dentist, Dr. Brewer, please give us a call at Brewer Family Dental today at (859) 554-4799.